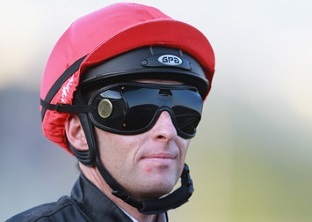 Mike Moon: Port Elizabeth’s trainers have put together a race card from scratch in just one day, showing what a dedicated bunch of horsemen they are, fingers very much on the pulse of the game in the Windy City. After their combined efforts in arranging the brand-new meeting on the Fairview Polytrack on Tuesday – involving nominations, acceptances, draws, jockey bookings, and more – it would seem fair for the willing band to share out the spoils somehow. That won’t happen, though. Stable strength and depth will prevail and there’s no more powerful yard in PE than Alan Greeff’s. He should take home most of the prize money and punters must include his runners in bets across the card. The affable conditioner and his ace jockey Greg Cheyne have plenty of good chances, but their best bet on the day appears to be in Race 6 with progressive filly Hartleythree. This three-year-old has only gone racing three times, but has shown adaption and improvement, finishing third, then second, then first. She is pitched straight from the maidens into this FM 74 Handicap, up against a few multiple-time winners – at not a particularly advantageous weight of 56.5kg. But the way the daughter of Eightfold Path won that last race by 5.25 lengths, from the widest draw of 13 around the Polytrack turn over 1200m, suggests she is a talented individual who will get better. Cowgirlinthesand from Gavin Smith’s stable poses a threat to Hartleythree. The four-year-old is a two-time winner from 14 starts and is a game performer. If she’s in the right mood when jockey Muzi Yeni gets aboard she could do well from the No 3 gate. Game Girl and Firstimesacharm are also useful. Greeff and Cheyne look especially well-armed in the early races. Adalberto is the standout in Race 2, a Maiden Plate over 1300m. This son of Crusade is overdue his first victory, having posted a string of places in nine outings to date. It seems that nervousness has been his undoing and if Cheyne can calm the three-year-old gelding he should have the wherewithal to beat this field. Guadalupo is another maiden who has hinted at having some talent in his four outings thus far and could put another one on the board for Greeff and Cheyne in Race 3, a Maiden Plate over 1600m. In the fifth race, the trainer-jockey team field What A Player, who won handsomely over this track and trip 10 days ago and looks capable of following up.